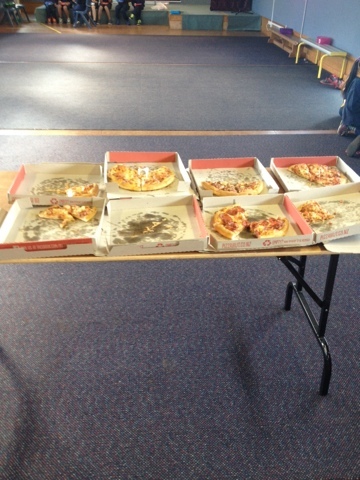 Congratulations Year 5 you deserve your treat! 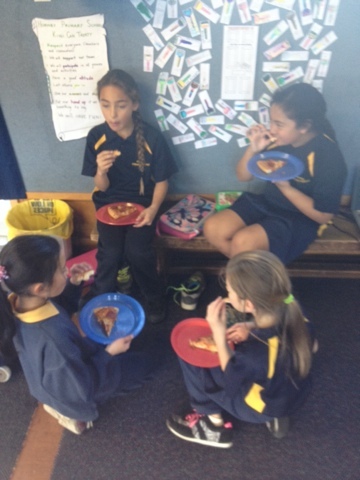 Wow that looks like good pizza, what did you have to do to achieve this treat? 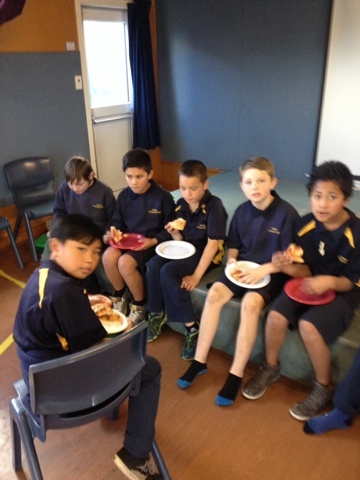 The Year 5's in Ako Ngatahi won the best behaved class competition in the Senior School (Trekkers) at KiwiCan. We had to demonstrate good communication, respect, co-operation, participation and positive relationships.